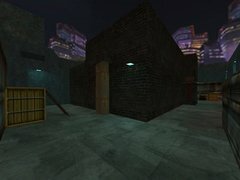 This is a remake of between_elvis_lg. 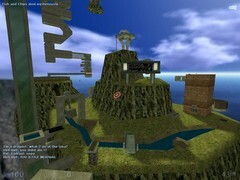 Besides the original map not looking all that great, it had a number of annoyances. The biggest annoyance is that monsters, both friendly and enemies would run down the side of the cliff into the pit constantly. This normally wouldn't be a problem, but it gets to be a pain when an alien grunt chases all of the barneys/otises and scientists into the pit and they all die. I've managed to get the "lemming problem" whittled down to the point it rarely happens unless the map gets very busy. - New Assassin train at regular intervals. - Assassin roost wall is replaced with railings so they have a much wider attack range. 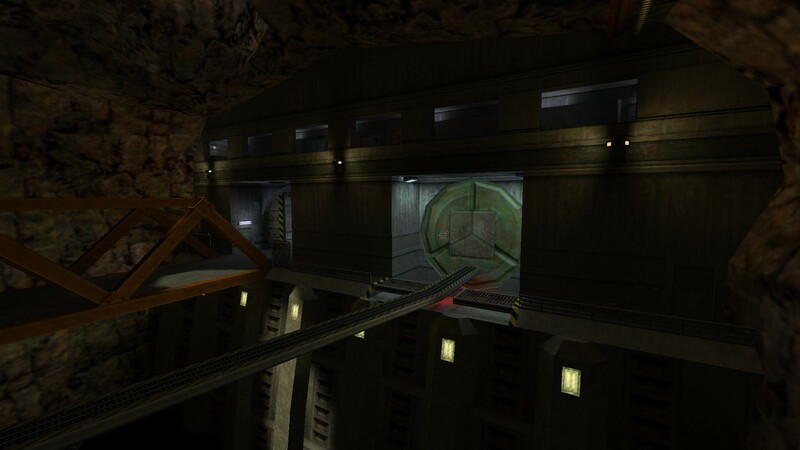 Before they could really only hit the upper floor, now they can hit probably 3/4 of the map. - Bridge reworked to look much nicer. - Railings added everywhere to prevent monsters from doing hilarious things like walking up walls or flying across the room. 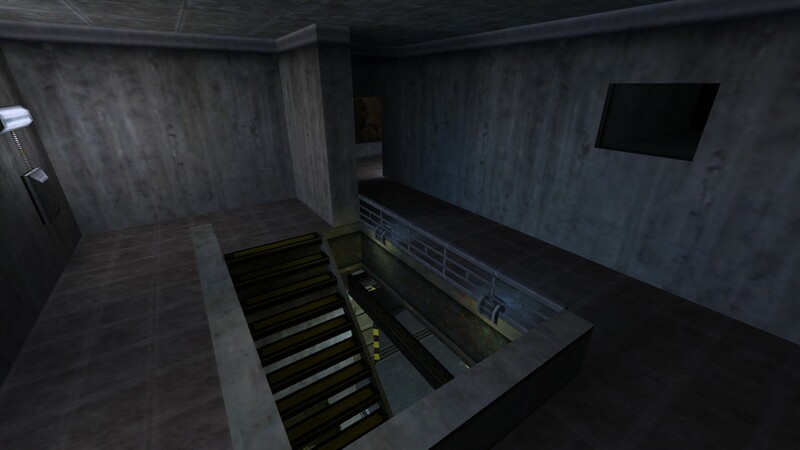 - Replaced the staircase in spawn with an enclosed stairwell for better traffic management. 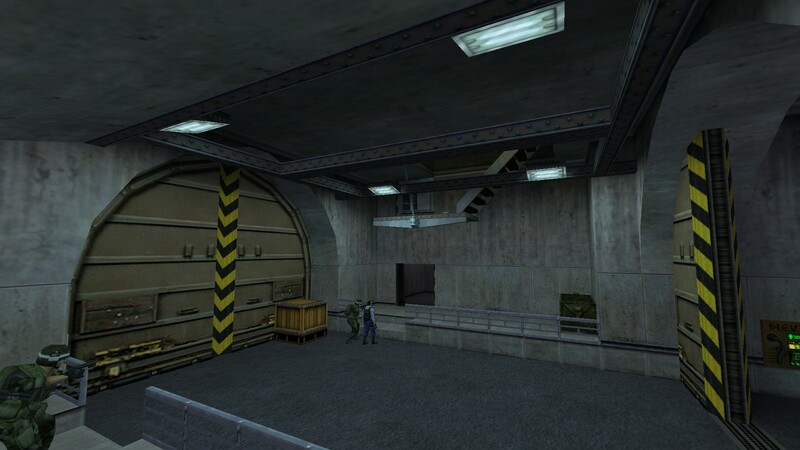 Scientists also like to hide in here, so guard it with your life. - Hallways in upper floor reworked to be more open. - Map no longer automatically ends when the helicopter comes, you have to crawl the rope and touch the base of the helicopter to end the map. 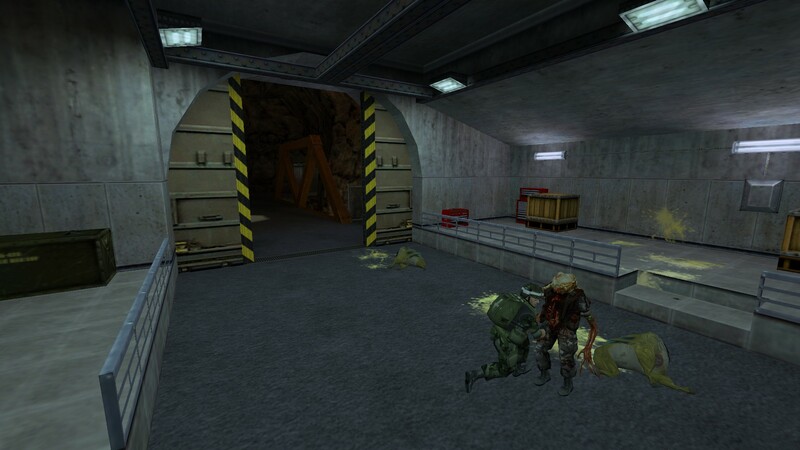 - Monsters no longer stop spawning when the helicopter comes, you can stay and fight indefinitely if you want. 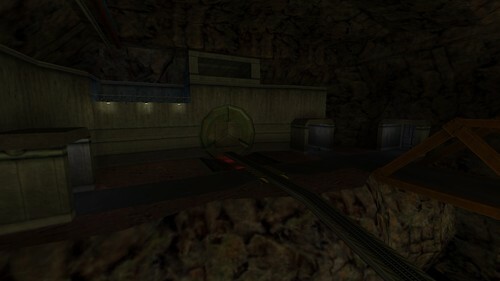 - Enabled unused feature from old map that spawned fassassins after the helicopter comes. 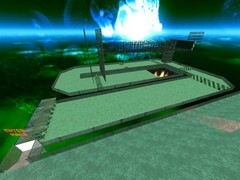 - Added turret to spawn area which is inactive by default. You need to trigger the secret buttons to activate it. Once activated, it will stay active for 90 seconds if it doesn't have a target (indefinitely if it does.) At which point it will go inactive again until re-activated. Fixed scientists not spawning due to not enough room. Added more monster clips to the tram tunnel to prevent stuck monsters. Moved sniper assassins to room above tram tunnel to lessen fighting with alien slaves. Replaced some tunnel monsters to add bullchicken and pit drones for more variation. Added bigmomma, kingpin and voltigore in rotation with the rappelling blackops for more variation. Reduced the maximum spawn period for the bigmomma, kingpin, voltigore and blackops from 300 seconds to 240 seconds. Fixed a problem that made is so the map could never complete. 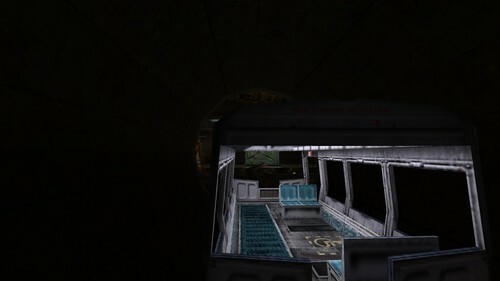 Added an alternate exit through the blast doors in spawn. 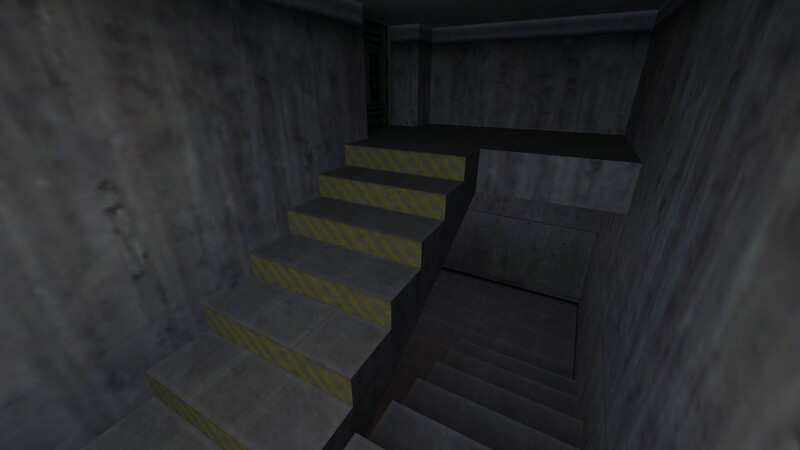 Made the stairwell door areas slightly larger to reduce crowding.